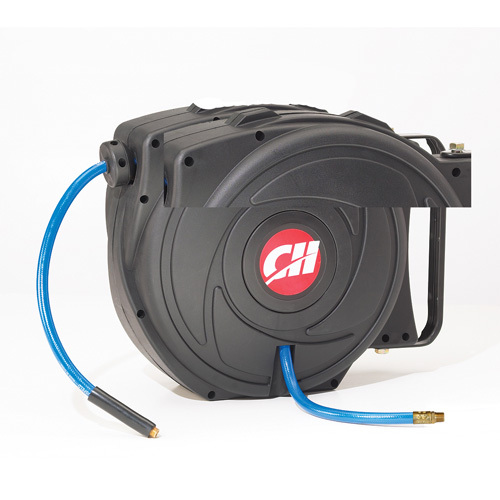 You won�t be tripping over your hose while working in the shop with the Black Bull 100 Foot Retractable Air Hose Reel with Auto Rewind. 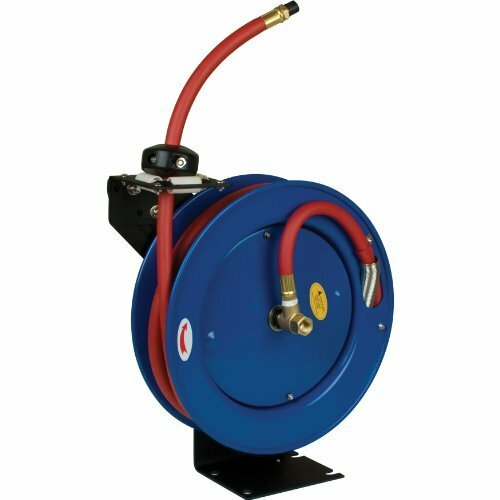 The heavy gauge steel reel assembly can be mounted on the ceiling, wall, or floor for quick and easy connection to your air compressor in your workshop, garage or basement. 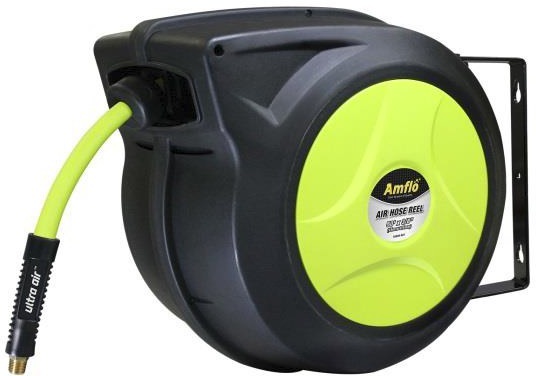 To use, simply pull the hose out to the desired length, and the ratchet gear will lock the hose in place and prevent backward tension while working. When you are done, give the hose a gently tug to unlock and let the hose gently roll away. 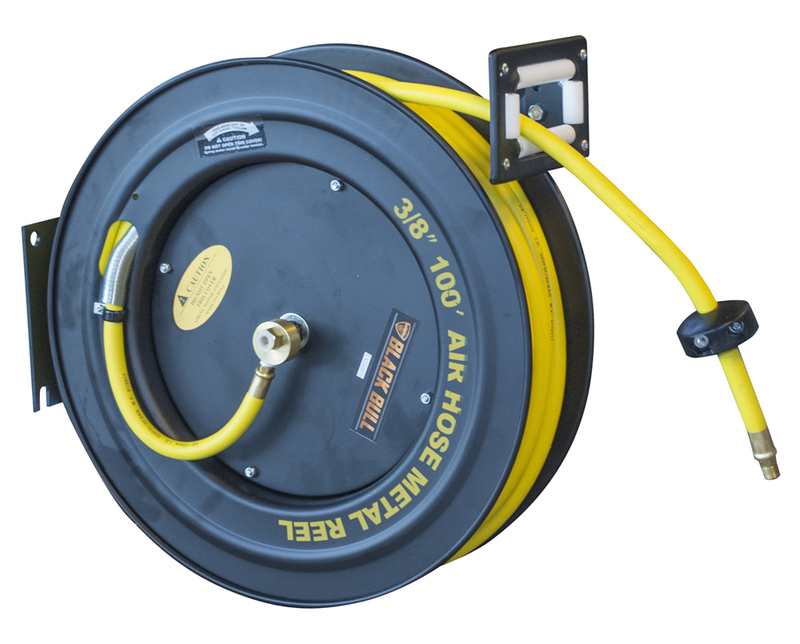 The 3/8-inch diameter air hose it constructed of heavy-duty rubber that gives it a working pressure of 300 psi.